Product prices and availability are accurate as of 2019-04-16 02:28:16 UTC and are subject to change. Any price and availability information displayed on http://www.amazon.com/ at the time of purchase will apply to the purchase of this product. 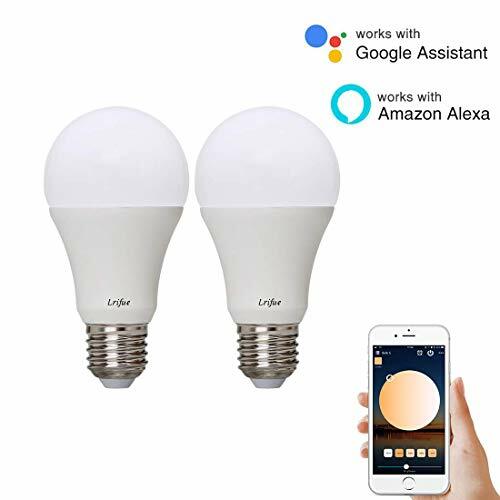 ?Voice & Remote Control?Lrifue smart WI-FI bulb works great with Amazon Alexa?Google Home,You can enjoy your hand-free voice control ,Let the appliances do what you command.Just download free app "Ahome" to control your smart bulb with your smartphone. Even not at home, you can easily set schedules for your smart bulb and customize your home light system. ?WIFI Standard?ONLY Support 2.4G Wi-Fi 802.11 b/g/n wireless network. 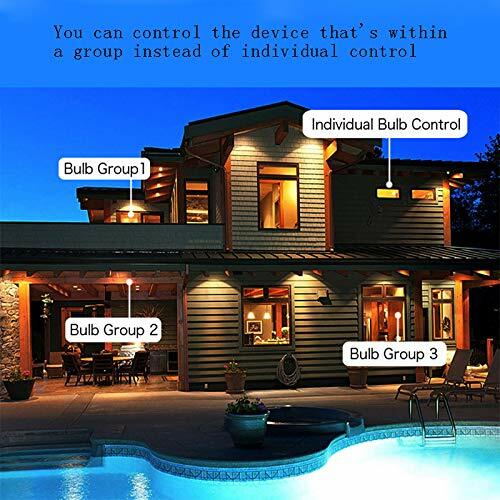 You can create a group for all of your smart bulbs, control them all with just one command and share the devices to family and friends. 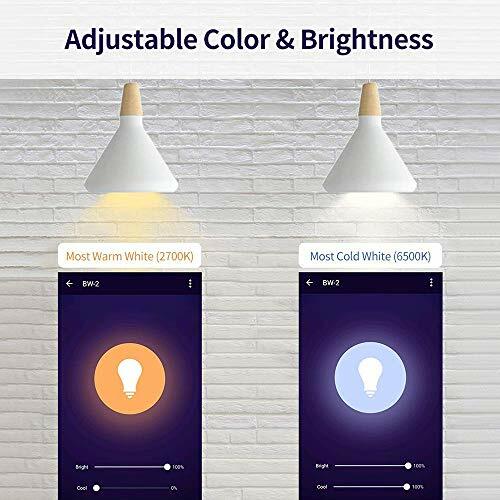 (Support iOS 8.0 or above/Android 4.4 or above) ?Warm/Cold Hue Control & Timing Function?2 color temperature (Warm & Cold Light) is available for this smart bulb. 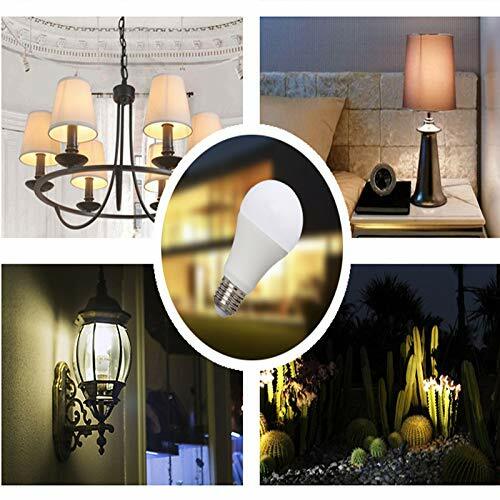 Just dim the light from 1%-100% to adjust the brightness and color temperature as you need. 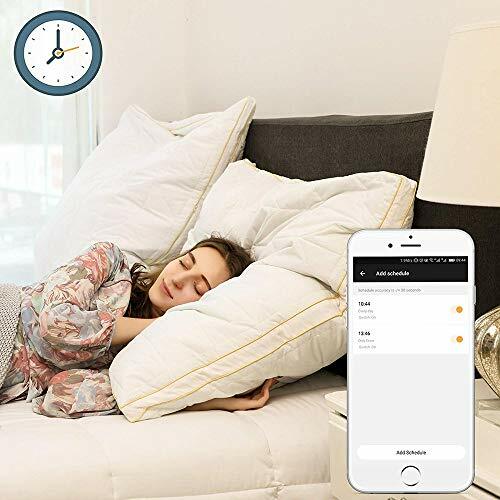 Switch your home appliances On/Off automatically and intelligently by setting a specific time with the smart bulb ?Easy to Install & Widely Used?Download "Ahome" APP to connect the bulb firstly (turn on/off the bulb 3 times constantly before connecting). Then search the skill "Smart Life" app on the Amazon Alexa App to take the voice control. 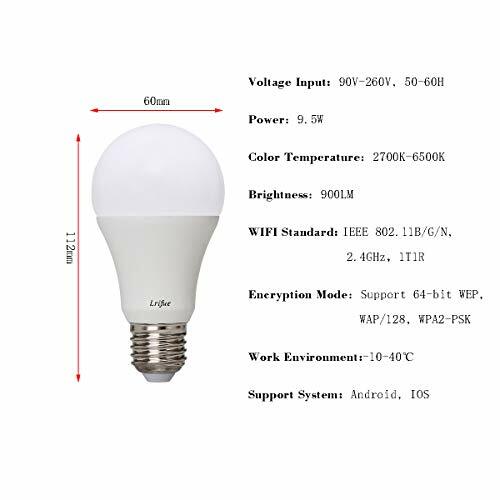 The smart bulb also can be used as a normal bulb, just screw in and power it on. Easy to create a variety of atmosphere, suitable for home indoor lighting, bedroom, bathroom, office, bar, party. ?Super service? If you are looking for a Smart Bulb, this is a great one! You will love this Smart Bulb and our outstanding customer service - Give it a try with our NO-FUSS 30 DAY MONEY BACK GUARANTEE & 1 YEAR WARRANTY - CLICK THE 'ADD TO CART' BUTTON NOW AND GRAB IT AT THIS SALE PRICE.